Visit Mammut's Smart Alpine 8.9 - 10.5 page. Wield a new level of security with MammutG? ?s Smart Alpine 8.9 - 10.5. 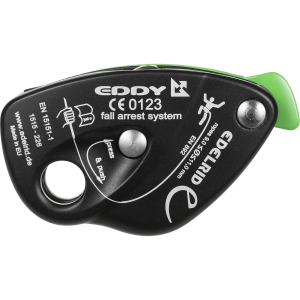 This clever device is perfect for mixed and ice climbing as it can be used for half ropes and thin, single ropes between 8.9 - 10.5 mm. 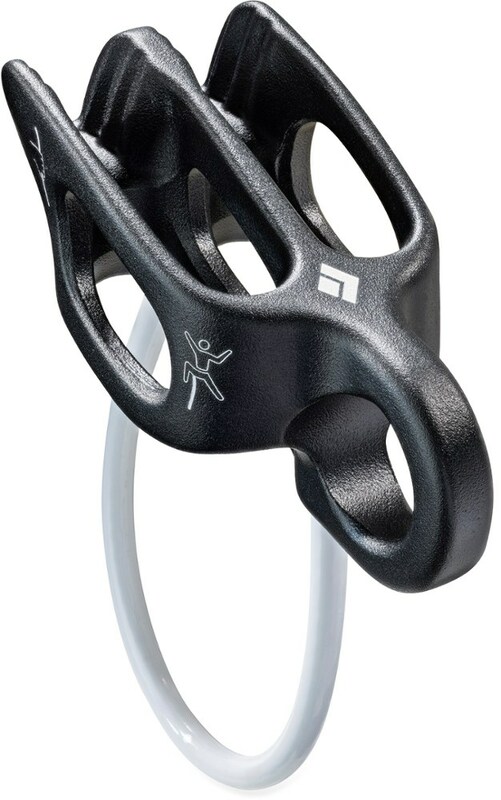 Expect smooth handling and a dynamic belay, which means the device locks automatically locks in the event of a fall. The alpine version of the award-winning Smart can also be used with half ropes as well with single ropes, making it the ideal companion for all alpine rock and ice pursuits. When it comes to belaying, the Smart Alpine offers the same excellent qualities as the Smart: dynamic braking of the climber in an accidental fall, and locks even at low levels of force exerted by the user. The Smart Alpine can also be used to independently belay one or two second climbers in an autolocking mode from the fixed point. The device is also ideal for abseiling. So for the functions of belaying and rappelling the simple mechanics of this device make it simple to use and work with indoor or outdoor. 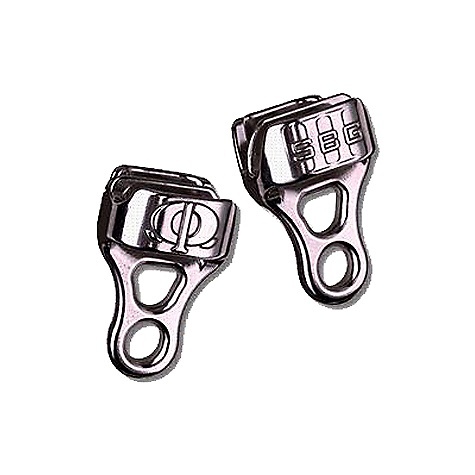 It does function as a belay device that can be used from above with the geometry that makes ropework clean and orderly. Black-red version for use with rope diameters of 8.9 - 10.5 mm. Note that this item of climbing safety equipment is non-returnable. Please call us toll free at 877-236-8428 or e-mail bentgate@bentgate.com with any questions. The Mammut Smart Alpine belay device employs all the great belay-assist features of the original Smart device, but can also be used with half or twin ropes for trips up alpine peaks. 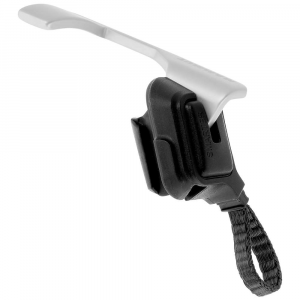 Smart Alpine belay device has the same non-mechanical design of the original Smart device that pinches the rope during a fall to make catching and holding falls easy. 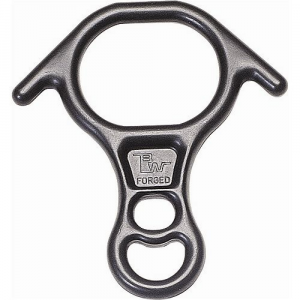 Extended lever lets you easily release the pinching of the rope when you need to lower a climber. Smart Alpine device can also be used in auto-block mode to allow the lead climber to belay 1 or 2 seconding climbers directly from the anchor. Ropes feed through the belay device quickly and easily while belaying a leader. 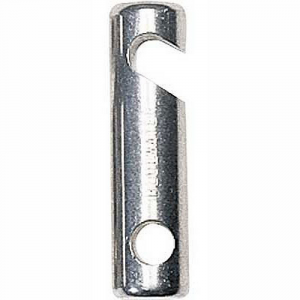 Accepts a wide range of ropes, from 8.9mm - 10.5mm in diameter. 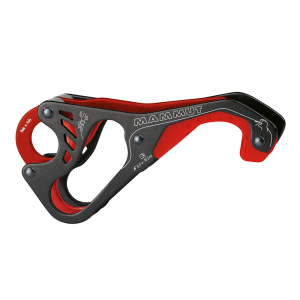 The Mammut Smart Alpine belay device is also suitable for rappelling.